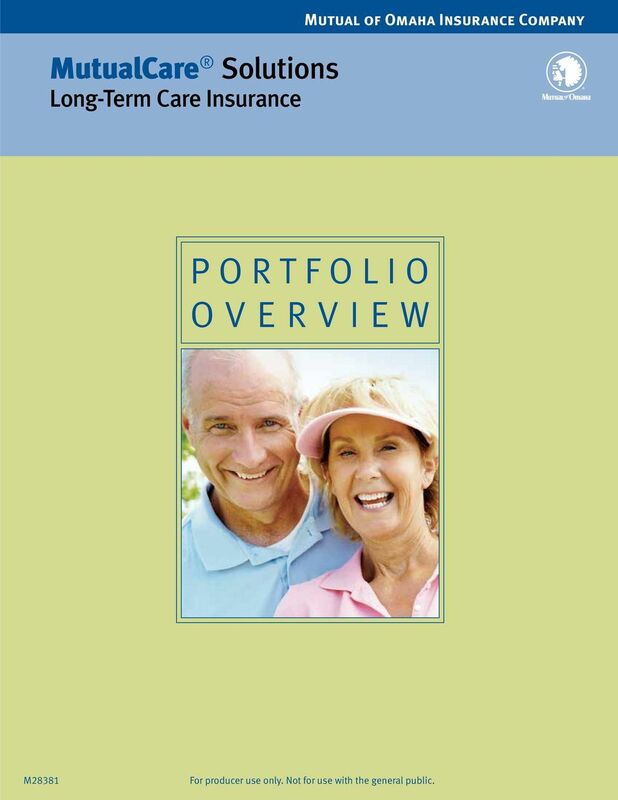 Download "PORTFOLIO OVERVIEW. 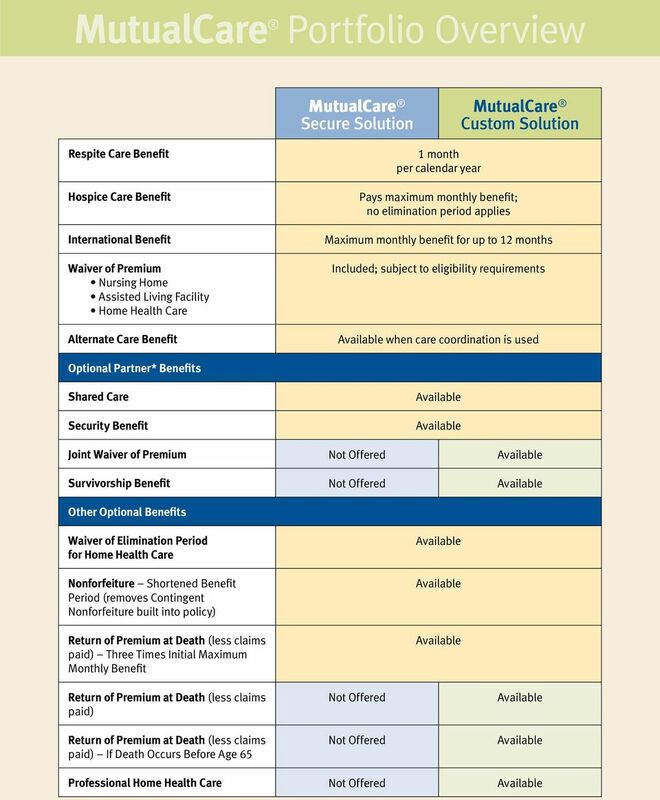 MutualCare Solutions Long-Term Care Insurance. 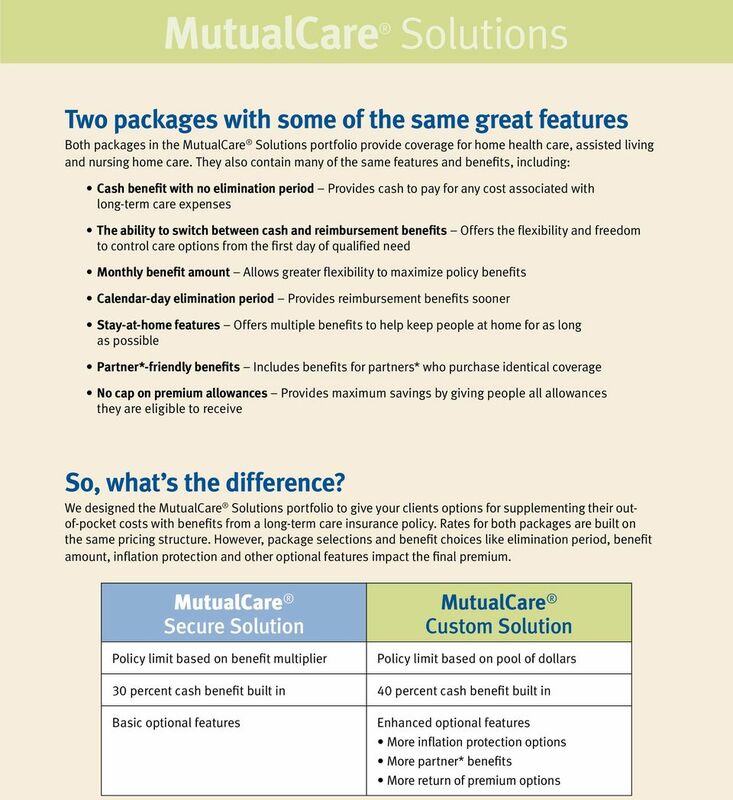 Mutual of Omaha Insurance Company"
1 MutualCare Solutions Long-Term Care Insurance Mutual of Omaha Insurance Company PORTFOLIO OVERVIEW M28381 For producer use only. Not for use with the general public. 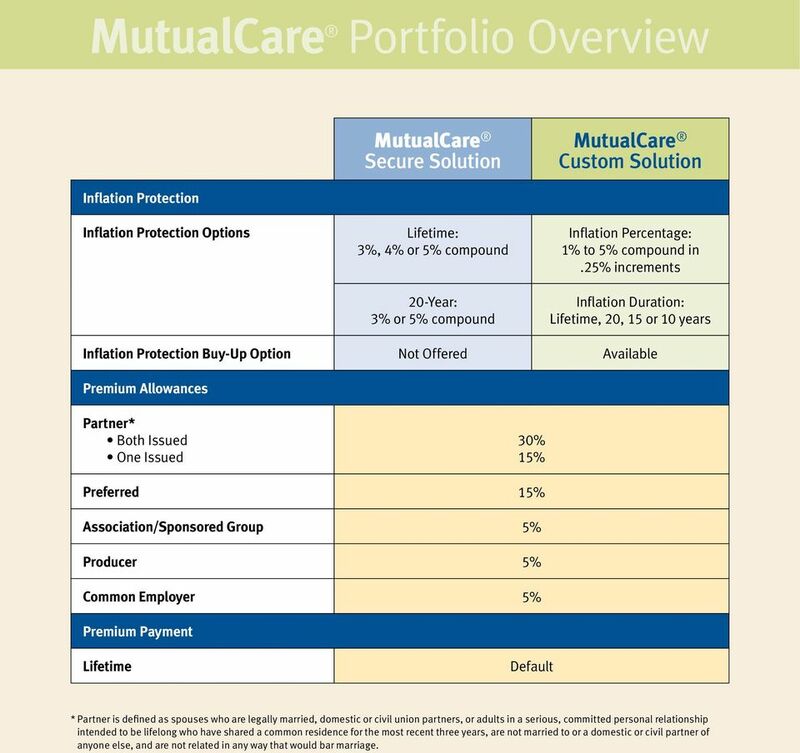 6 MutualCare Portfolio Overview MutualCare Secure Solution MutualCare Custom Solution Inflation Protection Inflation Protection Options Lifetime: 3%, 4% or 5% compound 20-Year: 3% or 5% compound Inflation Percentage: 1% to 5% compound in.25% increments Inflation Duration: Lifetime, 20, 15 or 10 years Inflation Protection Buy-Up Option Not Offered Available Premium Allowances Partner* Both Issued One Issued 30% 15% Preferred 15% Association/Sponsored Group 5% Producer 5% Common Employer 5% Premium Payment Lifetime Default * Partner is defined as spouses who are legally married, domestic or civil union partners, or adults in a serious, committed personal relationship intended to be lifelong who have shared a common residence for the most recent three years, are not married to or a domestic or civil partner of anyone else, and are not related in any way that would bar marriage. 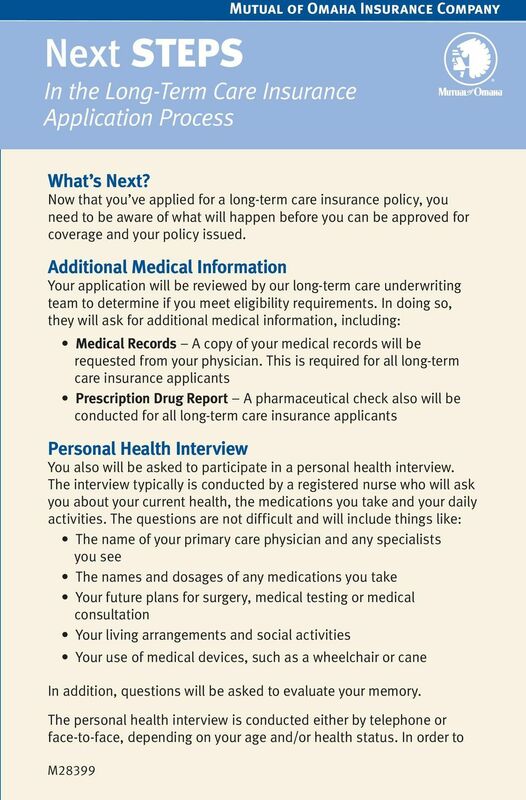 11 Preparing for the Personal Health Interview It s a good idea to take a few minutes now to collect the following information so you ll be prepared for your personal health interview. 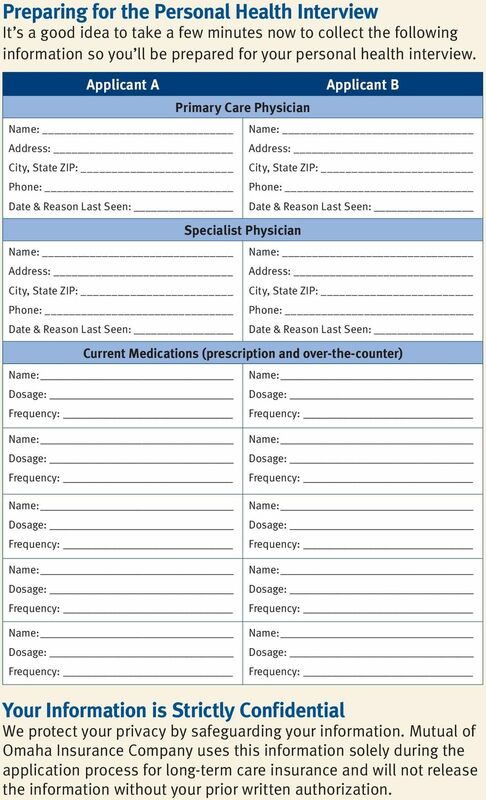 Applicant A Name: Address: City, State ZIP: Phone: Date & Reason Last Seen: Name: Address: City, State ZIP: Phone: Date & Reason Last Seen: Primary Care Physician Specialist Physician Applicant B Name: Address: City, State ZIP: Phone: Date & Reason Last Seen: Name: Address: City, State ZIP: Phone: Date & Reason Last Seen: Current Medications (prescription and over-the-counter) Name: Dosage: Frequency: Name: Dosage: Frequency: Name: Dosage: Frequency: Name: Dosage: Frequency: Name: Dosage: Frequency: Name: Dosage: Frequency: Name: Dosage: Frequency: Name: Dosage: Frequency: Name: Dosage: Frequency: Name: Dosage: Frequency: Your Information is Strictly Confidential We protect your privacy by safeguarding your information. 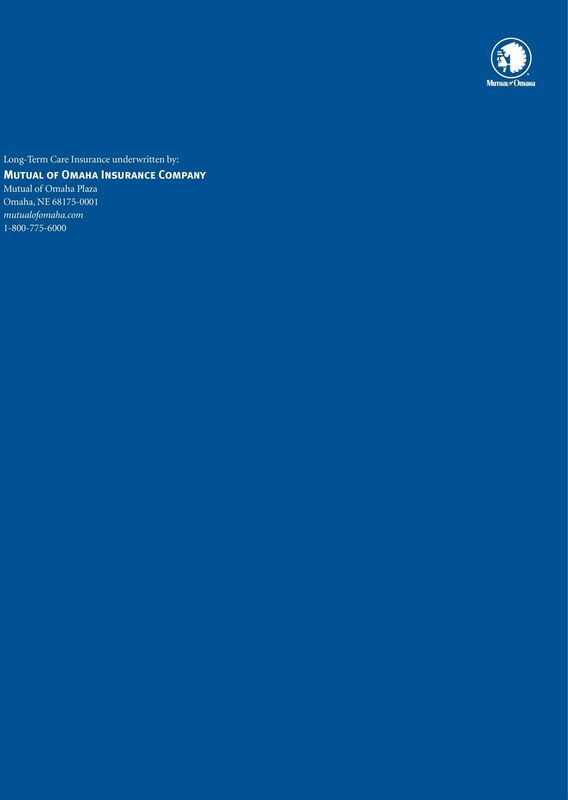 Mutual of Omaha Insurance Company uses this information solely during the application process for long-term care insurance and will not release the information without your prior written authorization. 15 Your Family You take care of your kids...because that s what parents do. But now that you re getting older, you don t want to rely on your family for help. You want to maintain your independence. And you don t want your kids to have the responsibility of caring for you. 16 Your Home It s where you raised your kids and where your family still gathers for holidays. Your home is where some of the best memories are made. It s the place you feel most comfortable where you feel safe and secure. It s where you belong and where you plan to stay. 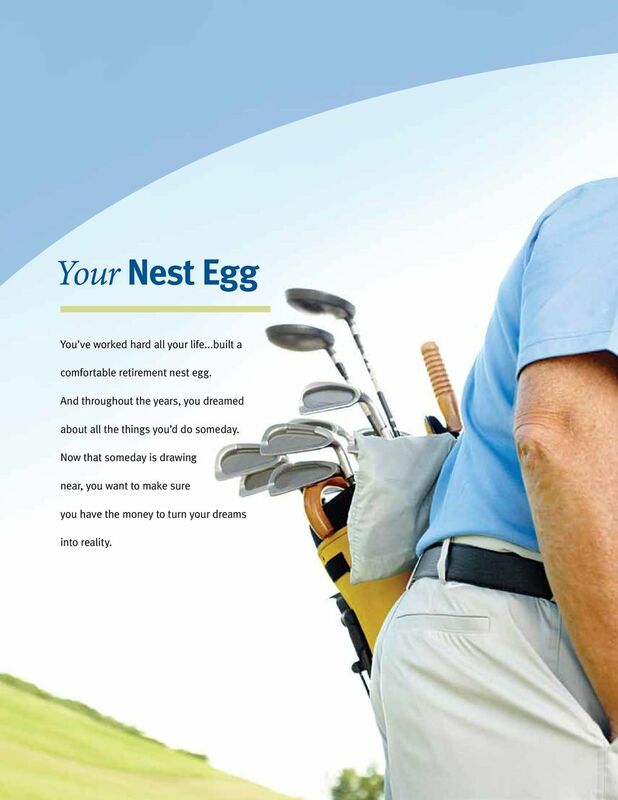 18 Your Nest Egg You ve worked hard all your life...built a comfortable retirement nest egg. And throughout the years, you dreamed about all the things you d do someday. Now that someday is drawing near, you want to make sure you have the money to turn your dreams into reality. 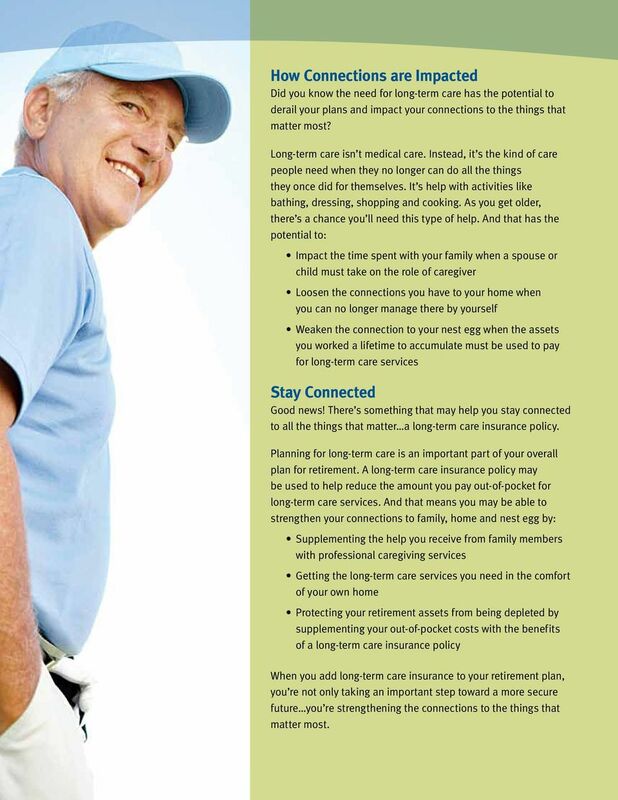 19 How Connections are Impacted Did you know the need for long-term care has the potential to derail your plans and impact your connections to the things that matter most? 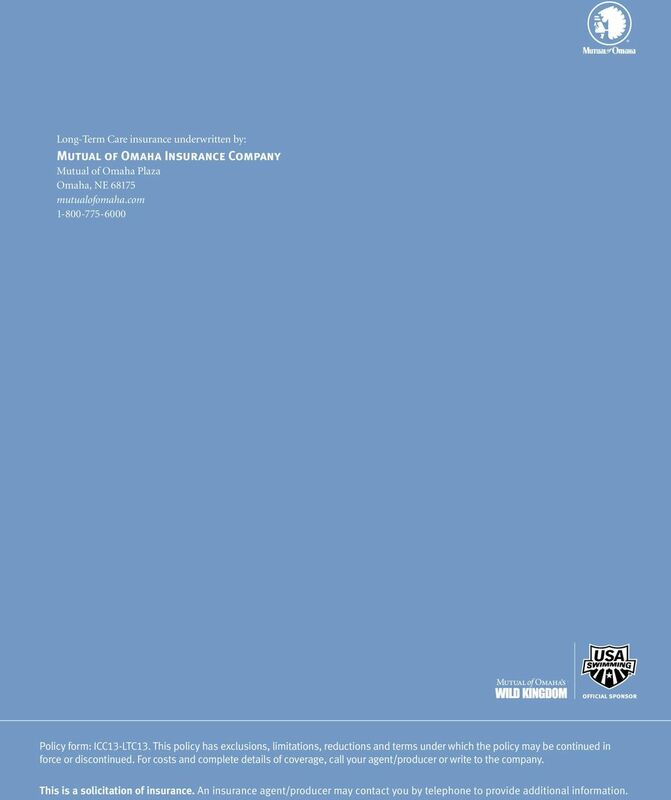 Long-term care isn t medical care. Instead, it s the kind of care people need when they no longer can do all the things they once did for themselves. 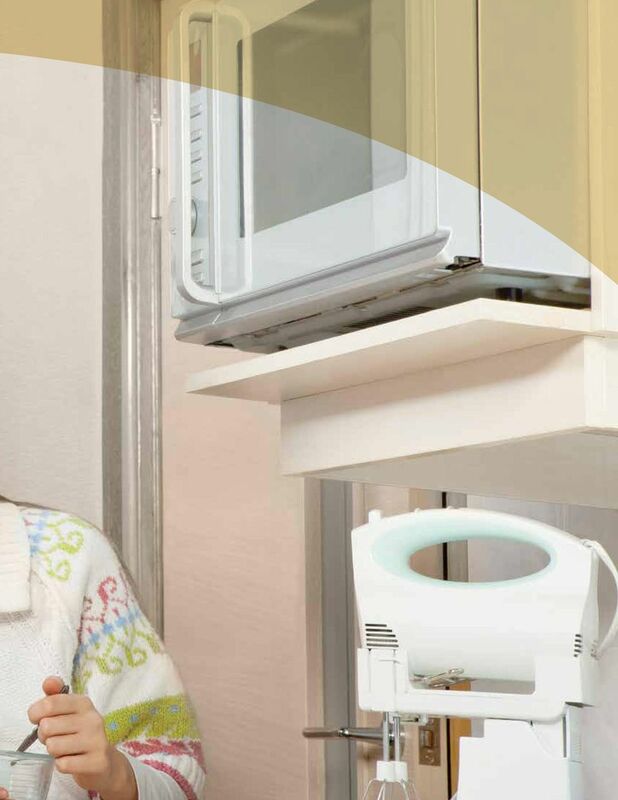 It s help with activities like bathing, dressing, shopping and cooking. As you get older, there s a chance you ll need this type of help. And that has the potential to: Impact the time spent with your family when a spouse or child must take on the role of caregiver Loosen the connections you have to your home when you can no longer manage there by yourself Weaken the connection to your nest egg when the assets you worked a lifetime to accumulate must be used to pay for long-term care services Stay Connected Good news! 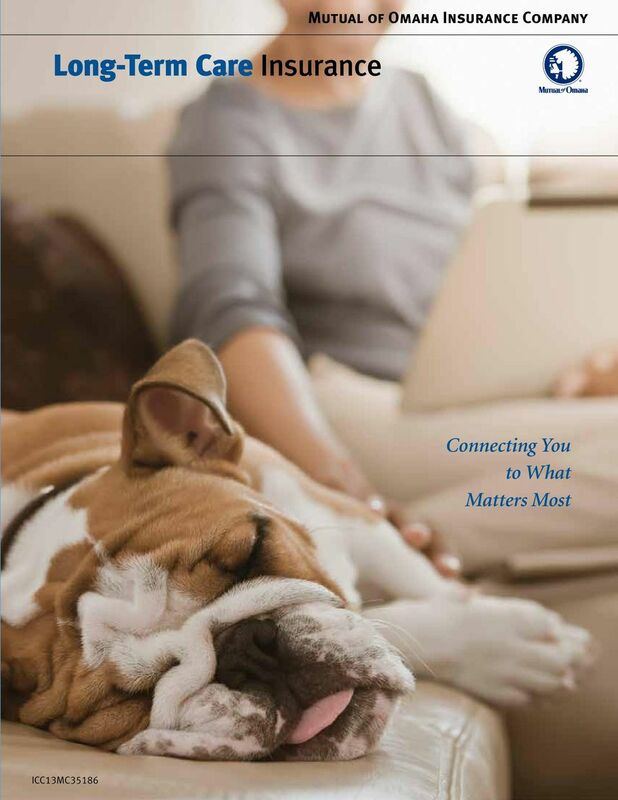 There s something that may help you stay connected to all the things that matter a long-term care insurance policy. 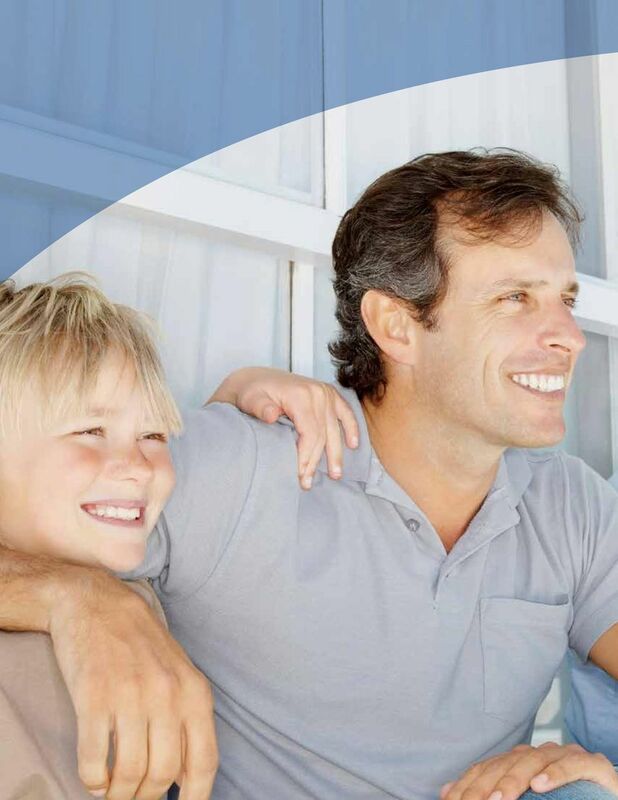 Planning for long-term care is an important part of your overall plan for retirement. 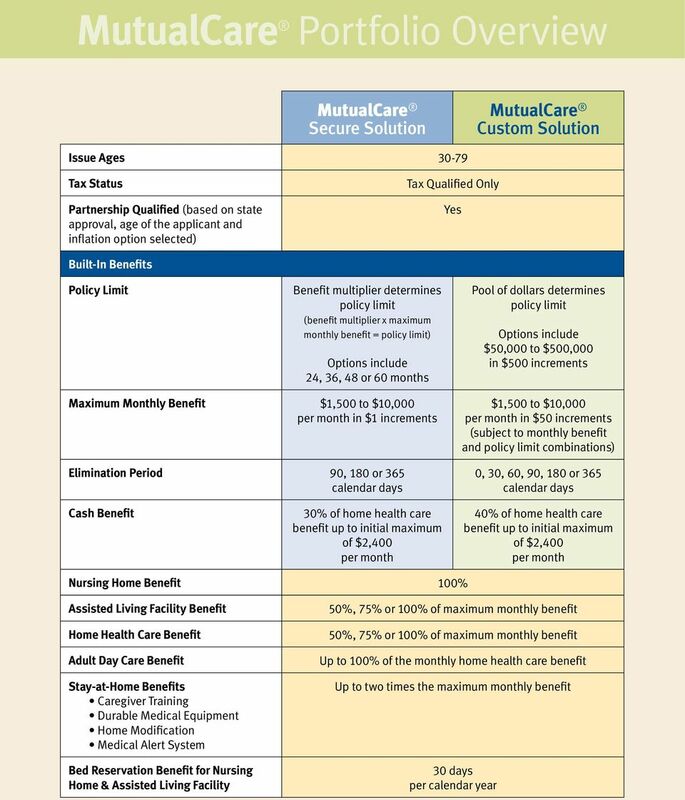 A long-term care insurance policy may be used to help reduce the amount you pay out-of-pocket for long-term care services. 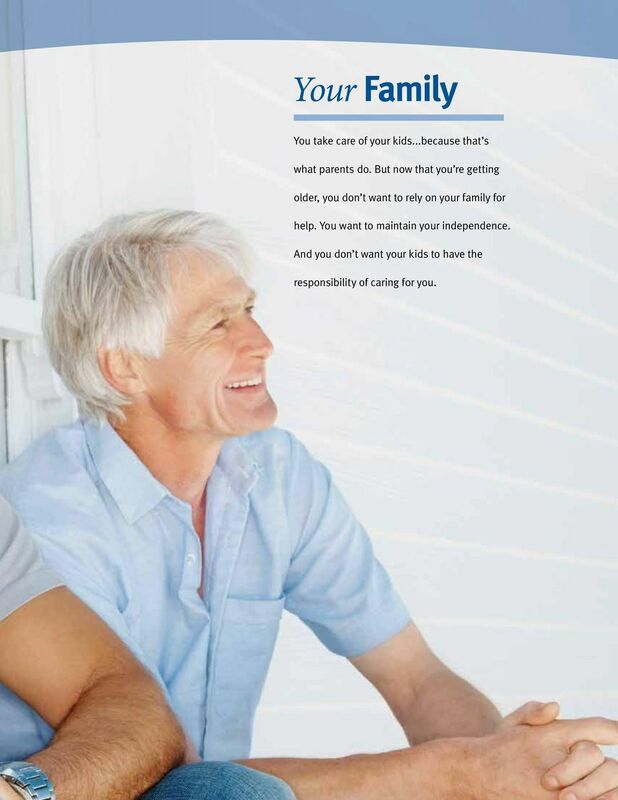 And that means you may be able to strengthen your connections to family, home and nest egg by: Supplementing the help you receive from family members with professional caregiving services Getting the long-term care services you need in the comfort of your own home Protecting your retirement assets from being depleted by supplementing your out-of-pocket costs with the benefits of a long-term care insurance policy When you add long-term care insurance to your retirement plan, you re not only taking an important step toward a more secure future you re strengthening the connections to the things that matter most. 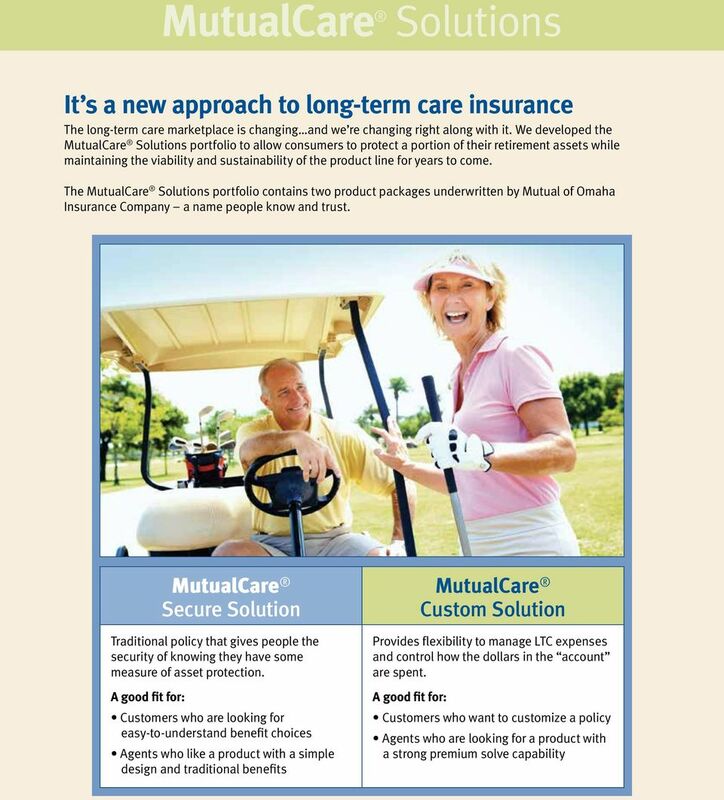 20 TM Long-Term Care insurance underwritten by: Mutual of Omaha Insurance Company Mutual of Omaha Plaza Omaha, NE mutualofomaha.com Policy form: ICC13-LTC13. This policy has exclusions, limitations, reductions and terms under which the policy may be continued in force or discontinued. For costs and complete details of coverage, call your agent/producer or write to the company. This is a solicitation of insurance. 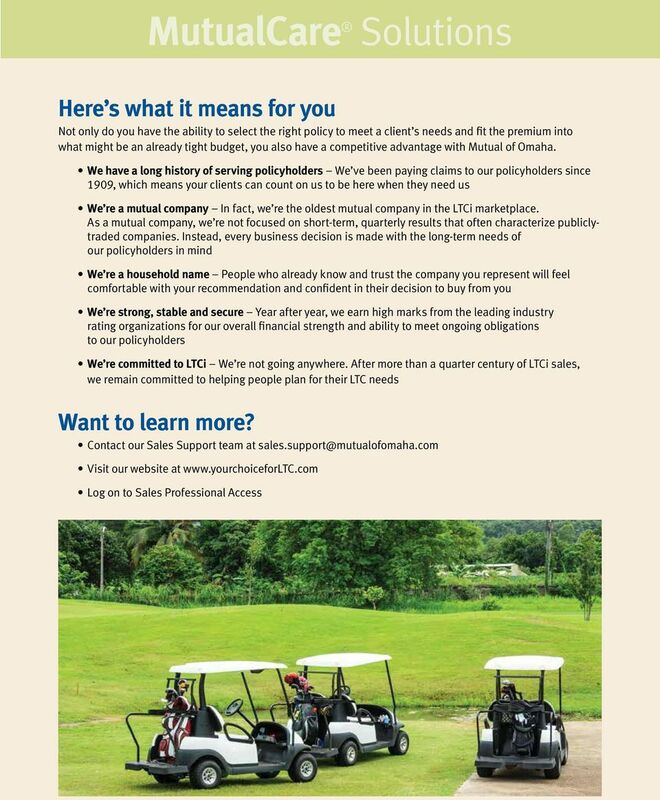 An insurance agent/producer may contact you by telephone to provide additional information.